We wish to draw your attention to an initiative highlighted by the IEN. 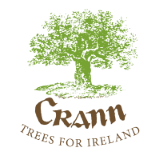 Crann’s inputs are helping to amplify the efforts of local communities with various projects, for example, in Kells, Shankill and Bray seafront. Members who are passionate about local issues but feel they can’t do anything about it may be able to influence their own local authority and/or Tidy Towns Committees. Right now there are many opportunities emerging for ecologists and environmental activists at local authority level. Amongst other things, the establishment of the new Public Participation Networks (http://environmentalpillar.ie/public-participation-networks/ ), which include an Environmental Electoral College, means that local environmentalists now have new oportunities to influence local policies and plans and their implementation. To facilitate you in linking with others locally and working together to make the most of these opportunities, we have established Local Environmental Network email lists for each of the local authorities (where they didn’t exist already). Behind each email list there is a local person who has agreed to act as a focal point for the network. The networks will have environmental (i.e. ecological) protection and / or environmental sustainability as their focus.